It appears during lunch and dinner times. It's found in the fridge under a custom menu Serve Dessert.../S2I's "Name of Cupcake"
It requires 6 cooking skill as this has been cloned from "layer cake". The sims eat this with a fork (it's all exactly the same as the layer cake). 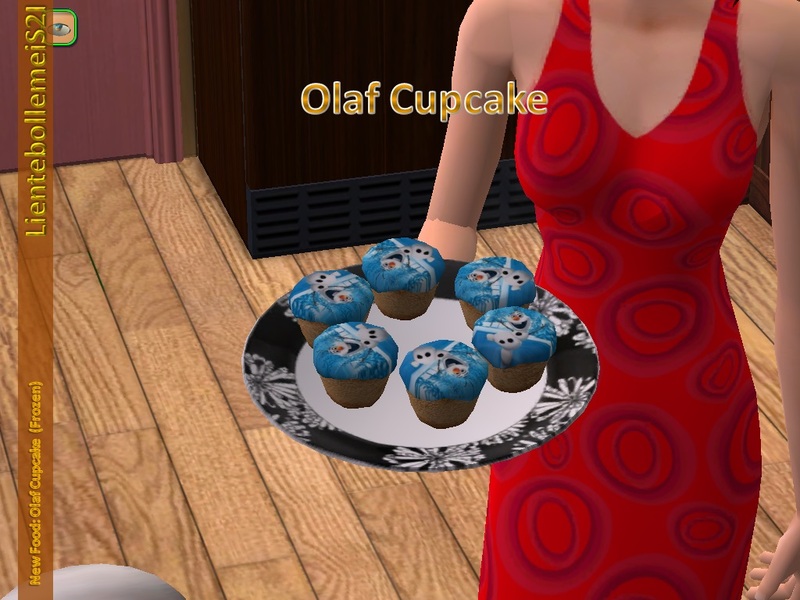 As this is cloned from layer cake there is a chance that your sims role a new want: "eating/preparing ... “Name of cupcake" like they role a want for the layer cake. The plate won't be empty when the cupcake has been eaten. This is an error I can't help because I cloned this from the mesh Exnem made and I don't know how to change it. Single Serve and Plate is 543. Can you create a food item for me? I suggest you look at my tutorial to give it a try yourself. If you really can't, you can always PM me for a request or help. If you like this creation, please, press the thanks button and/or leave a comment. Feedback always keeps a creator going for making more new stuff (in this case food). The dress in the screenshot is only found on this blog. I accept requests full time!